As far as the colored pants trend goes, burgundy (or maroon) pants and olive pants are really the only two colors that have stood the test of time. 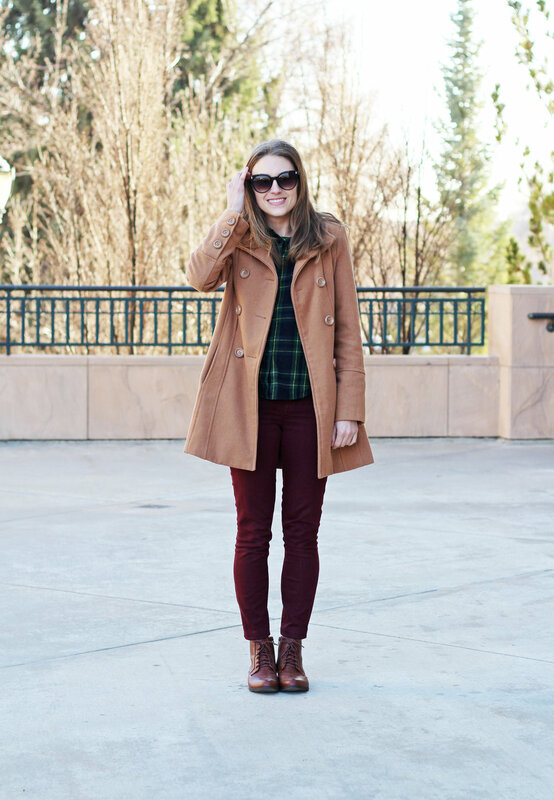 I purchased my pair of burgundy pants from Madewell about two and a half years ago and have included them in 32 outfits since then (14 of which were shared here on the blog; click through the photos below to see the original posts). They are a favorite of mine in the fall and winter! If you don't yet have a pair of burgundy pants but want a pair, I included a widget below with lots of options at a variety of price points!